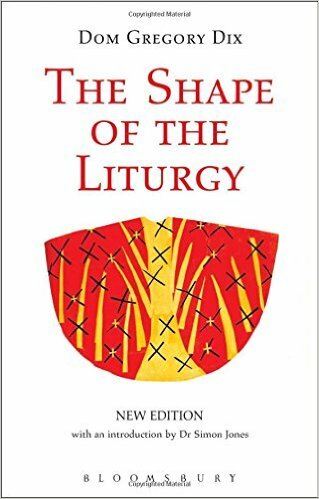 Jeg har nå lest ferdig den ganske berømte The Shape of the Liturgy, av Dom Gregory Dix, og er faktisk ikke så veldig fornøyd med boka. Jeg syntes faktisk han var ganske preget av det man kaller arkeologisme, som pave Pius XII fordømte på 50-tallet, men som en del liturger likevel var og er påvirket av. F.eks. tenker Dix seg at på 100- og 200-tallet – da han mener at ordets gudstjeneste (synaxi) og eukaristien ble feiret separat – kunne søndagens eukaristi tidlig om morgenen var kanskje ikke mer enn 20 minutter, og være et nokså typisk måltidsfellesskap (selv om offertanken også var med). Preken (og bibellesninger) skulle altså holdes på et annet tidspunkt, men det har jeg nok litt vanskelig for å se for meg. Dix mener også at alterets posisjon fram til ca 700 var at biskopen/presten var vendt mot folket (men han skriver litt om dette emnet). I det hele tatt er Dix nesten bare opptatt av det som skjedde fra til år 600 – selv om han skriver litt om forandringene rundt år 800 (med Karl den store) og enda mindre om utviklingen senere i middelalderen – og det han skriver om de første århundrene i øst og vest virker ganske spekulativt. … Later scholarship has considered Dix to be near the mark but not always on it. For example, Dix argued that the Eucharistic Prayer grew out of a solemn three-part Jewish prayer, the Birkat ha-Mazon, or blessing after a meal, and, in particular, out of its second paragraph of “thanksgivings.” More recent liturgical scholarship has sought its origin in all three paragraphs of this ancient prayer, which, however, did not harden into prescribed forms among the Jews until the end of the first Christian millennium. This makes it difficult to reconstruct more than an outline of the original prayer. At best, it can be summarized as blessing-thanksgiving-supplication, and modern scholarship has criticized Dix for assuming, in a Jewish prayer context, the equivalence of blessing (Hebrew, berakah) and thanksgiving (Hebrew, yadah). Dix also assumed, following late nineteenth- and early twentieth-century German scholarship, that in the early Church the celebrant of the Eucharistic liturgy faced the congregation over the altar. The popularity of his book did a great deal to foster that practice among Anglicans and certain “catholicizing” clergy and congregations among Protestants such as Lutherans and Methodists. It may have had a similar effect on Roman Catholics in laying the groundwork for the “reversal of the altars” that swept like a tidal wave over the Roman Rite of the Catholic Church from 1965 onwards. But this was more likely due to the influence of German and French liturgical institutes (most of whose “experts” were “popularizers” of liturgical scholarship rather than scholars themselves). Also, the view that “facing the people” was the “primitive practice” had been enshrined in the English-speaking world in The Catholic Encyclopedia of 1913, and had come to be regarded as historical fact. However, this view is now acknowledged to be mistaken by most contemporary liturgical scholars: The universal early Christian practice of facing east for prayer applied also, and especially, during the celebration of the Eucharist. …. Les hele denne anmeldelsen her. We are gathered here because of one man. A man known personally to many of us, known only by reputation to even more; a man loved by many, scorned by others; a man known for great controversy, and for great compassion. That man, of course, is Jesus of Nazareth. It is He Whom we proclaim: Jesus Christ, Son of the Father, born of the Virgin Mary, crucified, buried, risen, seated at the right hand of the Father. It is because of Him, because of His life, death and resurrection that we do not mourn as those who have no hope, but in confidence we commend Antonin Scalia to the mercy of God. Scripture says, Jesus Christ is the same yesterday, today and forever. And that sets a good course for our thoughts and our prayers here today. In effect, we look in three directions: to yesterday, in thanksgiving; to today, in petition; and into eternity with hope. We look to Jesus Christ yesterday—that is, to the past—in thanksgiving for the blessings God bestowed upon Dad. In the past week, many have recounted what Dad did for them, but here today, we recount what God did for Dad; how He blessed him. We give thanks, first of all, for the atoning death and life-giving resurrection of Jesus Christ. Our Lord died and rose not only for all of us, but also for each of us. And at this time we look to that yesterday of His death and His resurrection, and we give thanks that He died and rose for Dad. Further, we give thanks that Jesus brought him to new life in Baptism, nourished him with the Eucharist, and healed him in the confessional. We give thanks that Jesus bestowed upon him 55 years of marriage to the woman he loved—a woman who could match him at every step, and even hold him accountable. God blessed Dad with a deep Catholic faith—the conviction that Christ’s presence and power continue in the world today through his Body, the Church. …..
Dom Gregory Dix’s classic account of the development of the Eucharist rite continues to be the definitive and authoritative work on the subject. He presents his massive scholarship in lively and non technical language for all who wish to understand their worship in terms of the framework from which it has evolved. He demonstrates the creative force of Christianity over the centuries through liturgy and the societies it has moulded. His great work has for nearly fifty years regularly been quoted for its devotional as well as its historical value, and has regularly attracted new readers. 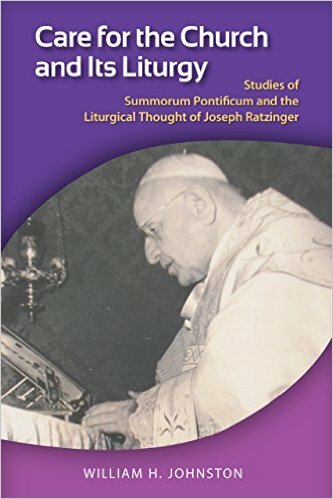 In this book for the first time, critical studies in the learned periodicals of many countries have been carefully sifted and the results arranged to give a clear picture of the development of the Eucharistic rite. 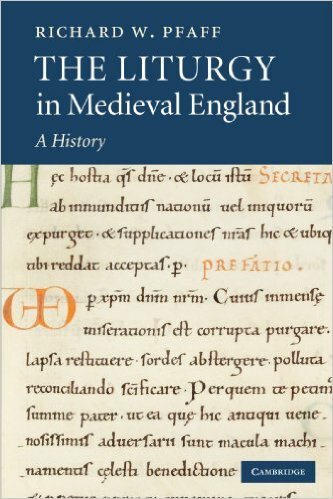 Jeg har nå lest ferdig denne boka, som forfatteren, Richard W. Pfaff, i forordet skriver kanskje heller burde ha blit kalt The Liturgical Books of Medieval England, eller enda bedre (men for langt) The Liturgy in Medieval England: An Essay on the History of Medieval England as seen through Liturgical Sources. Boka handlet nok for mye om utallige manuskripter etter min smak, og enkelte av detaljene må jeg innrømme jeg leste ganske raskt. Boka (som er på 575 sider) er delvis historisk, delvis går den gjennom liturgiene til de ulike religiøse ordenene i England, og mot slutten også de ulike regionale liturgiene, som Sarum (Salisbury), York, Hereford, Lincoln og et par til. Sarum er den mest kjente liturgien/ messerordningen, som etter hvert kom til å dominere det meste av England. 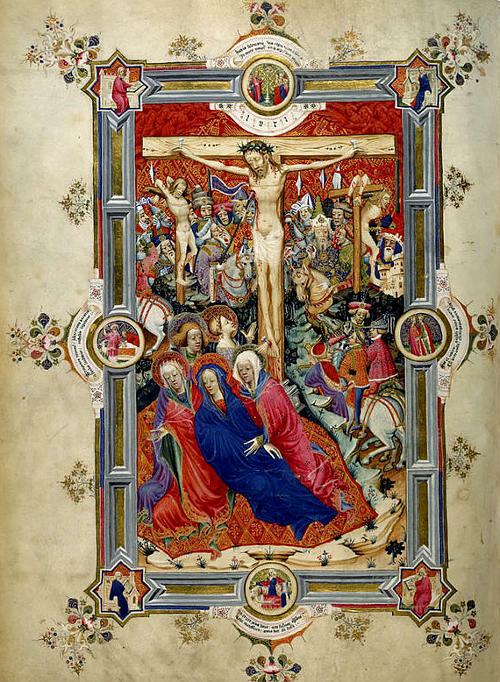 At Mass, as in the Dominican Use, the Sarum priest began by saying a verse of the psalm “Confitemini,” with a shortened Confiteor followed by the verse “Adjutorium nostrum in nomine Domini.” Nevertheless, at Salisbury every celebrant was bound to have recited the whole psalm “Judica me Deus” in the sacristy before coming to the foot of the altar. The prayer “Aufer a nobis” was said, but not that which now follows it, in lieu of which the priest simply made the sign of the cross and proceeded to read the Officium, or as we call it, the Introit. From the Kyrie to the Offertory the deviations from our actual usage are slight, though on festival days this section of the sacred rite was often enormously lengthened by varied and prolix sequences. 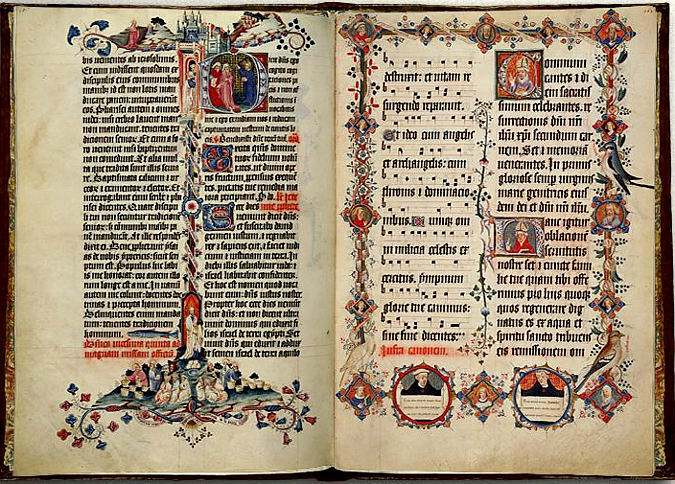 Like the Dominican and other contemporaneous Uses, that of Sarum supposes the previous preparation of the chalice (put by the Sarum Missal between the Epistle and Gospel) and thereby materially abbreviates the Offertory ceremonial. According to an archaic usage, still familiar to ourselves from the Roman Good-Friday Rite, the prayer “In spiritu humilitatis” followed in place of preceding the washing of the priest’s hands and the psalm “Lavabo” was omitted. To the “Orate Fratres” (at Sarum, “Orate Fratres et Sorores”) no audible response was made. From the Preface onward through the Canon, the Sarum Mass was word for word and gesture by gesture that of our own Missals, except that a profound inclination of head and shoulders took the place of the modern genuflection and that during the first prayer after the Elevation the celebrant stood with arms stretched out in the form of a cross. As in France and generally in Northern and Western Europe the Benediction given at the breaking of the Sacred Host was not curtailed to the mere pronouncing of the words “Pax Domini sit semper vobiscum” but, more particularly when a bishop officiated, was very solemnly given with a formula varying according to the festival. 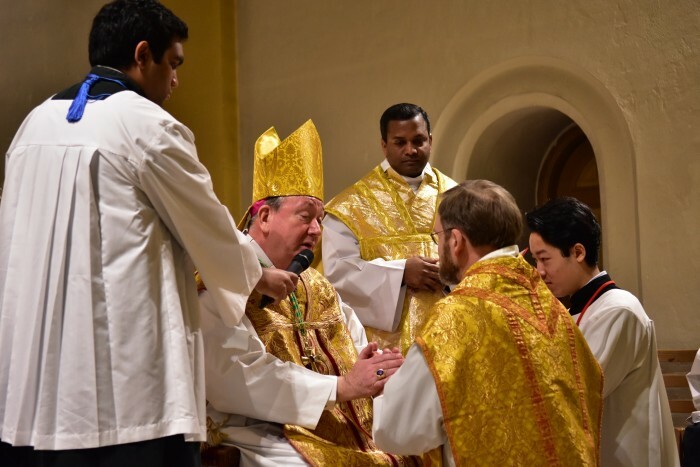 The prayers before the priest’s Communion were other than those with which we are familiar. The kiss of peace was given as with us but there was no “Domine non sum dignus.” The words pronounced by the celebrant at the moment of his own Communion are striking and seem peculiar to the Sarum Missal. They may therefore be fittingly quoted: “Hail for evermore, Thou most holy Flesh of Christ; sweet to me before and beyond all things beside. To me a sinner may the Body of our Lord Jesus Christ be the Way and the Life.” The Communion and Postcommunion followed as now. But no Blessing was given, and the beginning of the Gospel of St. John was recited by the priest on his way from the sanctuary to the sacristy. 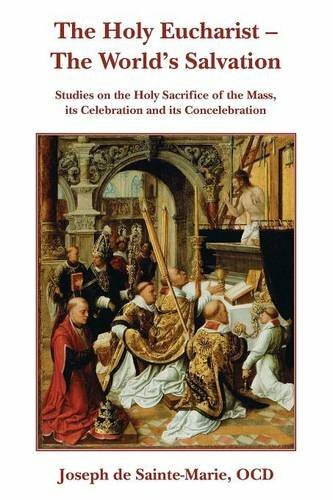 If you have any interest in liturgical studies, this book will prove an fun footnote to one of the leaders in the field. Og HER er en grundig omtale av boka. 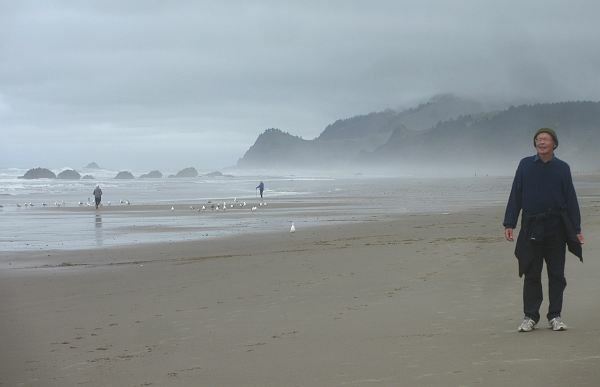 Nå har vi bodd ei uke i en leilighet i Lincoln City på den ganske berømte Oregon Coast – det er fint her, men ikke særlig varmt (10-12 grader) som bildet viser. Forrige helg hadde vi familiebesøk (fra min kones familie) lørdag, søndag, mandag, siden har vi studert ganske mye og gått på stranda. Kommende helg skal vi også treffe familiemedlemmer tre dager (det var hovedgrunnen til at vi kom hit), og så blir det igjen tid til studier de neste ukedagene. Det er litt underlig å være 9 timer etter Norge tidsmessig, for selv om vi står opp tidlig (før 6) er folk i Norge da på vei hjem fra jobb – og jeg leser Aftenposten og Vårt Land for neste dag hver ettermiddag. Jeg har vært i Oregon mange ganger før (vi gifta oss her for litt over 30 år siden), men det har stort sett vært om sommeren og det har ofte ikke vært mer enn to uker, og nå skal vi være her akkurat fem uker. Bildet under viser korsfestelsen, og er den eneste helsides miniatyren i missalen. Hva er igjen hvis vi ikke har liturgien? The Church teaches us that the liturgy is the “source and summit” of the Church’s life [in Sacrosanctum Concilium]. There is nothing more important that the Church does. All our apostolic works flow from it. It is the heart of who we are as the body of Christ. I had the pleasure of attending a general audience with Pope Benedict. As a bishop, I had the opportunity to greet him personally afterward. In the few moments I had with him, I told him I had a great admiration for what he’d done to renew the sacred liturgy and thanked him for his leadership. 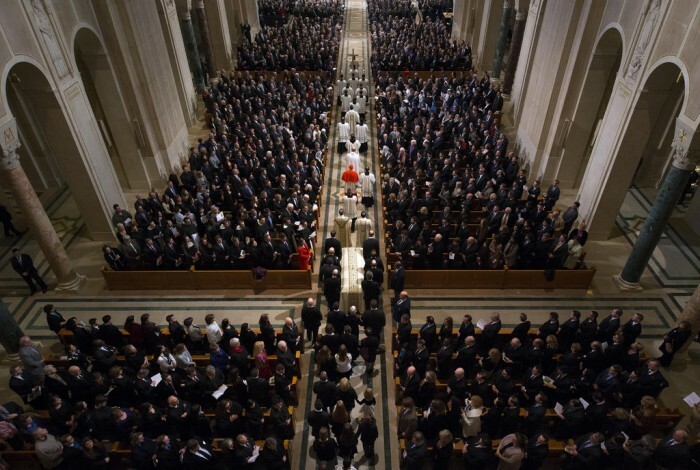 He responded, “If we don’t have the liturgy, what do we have?” I took that message to heart. I want to do what the Church wants us to do in regards to liturgy. It is not my take, or my style, but what the Church is asking of us. I want to be faithful to what the Vatican II Council intended. The liturgy is not the personal possession of any priest or liturgical commission, but belongs to Holy Mother Church. We must celebrate it according to the mind and heart of the Church. I’m grateful to Pope Benedict for allowing the Extraordinary Form to flourish again in the Church. I have a great love and appreciation for the ancient liturgy. I wish every priest and seminarian would familiarize himself with the Extraordinary Form, which can help us to better understand the Ordinary Form. Jeg leste om dette først hos Father Z. 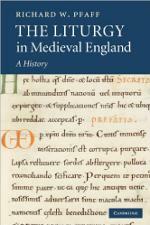 This book provides a comprehensive historical treatment of the Latin liturgy in medieval England. Richard Pfaff constructs a history of the worship carried out in churches – cathedral, monastic, or parish – primarily through the surviving manuscripts of service books, and sets this within the context of the wider political, ecclesiastical, and cultural history of the period. The main focus is on the mass and daily office, treated both chronologically and by type, the liturgies of each religious order and each secular ‘use’ being studied individually. Furthermore, hagiographical and historiographical themes – respectively, which saints are prominent in a given witness and how the labors of scholars over the last century and a half have both furthered and, in some cases, impeded our understandings – are explored throughout. The book thus provides both a narrative account and a reference tool of permanent value. 1 The importance of popular faith and devotion, which he highlighted Saturday with a Mass in the Basilica of Our Lady of Guadalupe. 2 The dignity of Latin America’s indigenous population, expressed on Monday by an outing to Chiapas, home to an armed Zapatista uprising fueled in part by a legacy of injustices directed at indigenous communities. 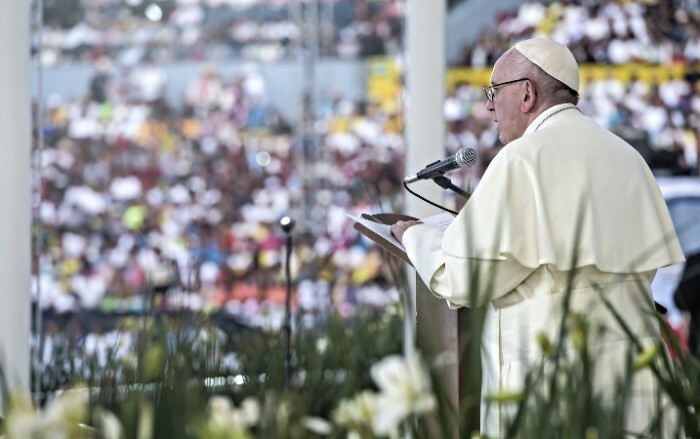 3 The indecency of the drug trade and drug-related violence, hammered home on Tuesday when the pontiff traveled to Morelia, a state in which scores of ordinary people and an estimated 40 Catholic priests have been killed by criminal gangs in the past decade. 4 The human dignity of immigrants, captured in the border stop on Wednesday. Aides said Francis personally chose these destinations, and it’s hard to imagine an itinerary better reflecting his priorities. When the pope goes some place, a good chunk of the world’s media also travels with him, and it’s clear Francis wanted to exploit that spotlight. – A preference for ordinary people and the poor rather than elites. – Close contact with social realities, including concrete humanitarian and charitable efforts. – Political moderation and dialogue with all parties. – Simplicity of lifestyle and approach. – Personal integrity and a distaste for wheeling and dealing. – Rejection of careerism; that is, a prelate who thinks more about this job than the next one. In July 2007, Pope Benedict XVI issued Summorum Pontificum, designating two “uses” or “forms” of the Roman Rite, declaring the Missal of Paul VI to be the “ordinary form” and the 1962 Missal of John XXIII to be its “extraordinary form.” On the same day, the pope also published a letter to bishops, Con Grande Fiducia, to accompany and offer commentary on this motu proprio. In Care for the Church and Its Liturgy, William H. Johnston offers analysis and commentary on both documents, exploring their meaning, context, purposes, implementation, and implications. Johnston carefully attends to the multiple purposes of the documents themselves and to the various questions related to their implementation, as well as to the complex postconciliar dynamics in the Catholic Church. His approach throughout is appreciative, critical, and constructive. Johnston’s study embodies respect for dialogue, unity, and charity. It will provide much food for thought and discussion among both academics and pastoral leaders in the years ahead as the church discerns its liturgical way forward, and all those with educational or pastoral responsibility for the liturgy will find it an informative resource and valuable guide for understanding and assessing this still constitutive feature of the Roman Rite. Alas, and without trying to rain on anyone’s parade, there are also good reasons for caution, in large part because Moscow’s motives — both in terms of the Russian church, and the Kremlin under Vladimir Putin — are open to serious doubt. In recent decades, the Catholic Church has bent over backwards to improve relations with Moscow. Given fears that Catholics try to poach Orthodox worshipers, for instance, the Church in Russia has been under what amounts to a quiet “no-growth” policy. Pastors have received instructions that if a Russian seeks to convert, he or she should be sent back to an Orthodox congregation. Yet despite a slew of similar accommodations, Russian Orthodox leaders still routinely exude hostility. …. Given all that, how will we know if Friday’s meeting was more than a photo-op? Second, Kirill could officially reject claims by arch-conservative traditionalists in his church that Catholic sacraments and ministries aren’t valid. Catholic experience shows doing so won’t make those folks go away, but it will at least prevent them from claiming they speak for the church. Third, Orthodox clergy could stop providing religious cover for Putin’s imperial ambitions and establish genuine independence from state control. Fourth, Pope Francis and the Vatican could make the preceding three steps a precondition for moving forward. If those things occur, then Friday’s get-together will represent a sea change. Longtime observers, however, may be forgiven for not holding their breath. At the time of his death six years ago, the Rev. Richard John Neuhaus was arguably the most prominent conservative Roman Catholic in America. He was leader of the “theocons,” as critics labeled them, right-leaning Christian intellectuals grouped around First Things, a journal Neuhaus founded. Popes John Paul II and Benedict XVI knew him personally, as well as by his work, and George W. Bush sought Neuhaus’s counsel before and during his time as president. His 1984 book on the place of faith in politics, “The Naked Public Square,” has been credited with helping to define the climate in which Ronald Reagan won re-election. Yet Neuhaus did not begin as a conservative, a Catholic or indeed in America. He was born and baptized the son of a Lutheran pastor in Pembroke, Ontario. Later, as a Lutheran pastor himself in New York, Neuhaus was an activist liberal — ally of Martin Luther King in the civil rights struggle, co-founder of Clergy and Laity Concerned About Vietnam and antiwar delegate to the 1968 Democratic National Convention in Chicago. 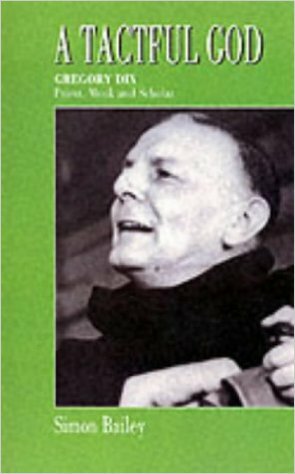 … A man of the cloth as engaged in public life as Neuhaus was makes a difficult subject for a biography: The cavalcade of events threatens to overwhelm the spiritual side of his life. Boyagoda draws attention back to Neuhaus’s faith whenever he can, particularly in the moving final chapter, as Neuhaus approaches his death. But an adequate spiritual biography would have to be quite different from an account of a public life as full as the one Neuhaus’ led, and inevitably Boyagoda has to choose his focus. Here it is on the outward man, and Boyagoda has explored and explained this fascinating American as well as anyone could have hoped. Les mer om denne boka her. Pope Paul VI visited the Orthodox Patriarchs of Jerusalem and Constantinople in 1964 and 1967. He was the first pope since the ninth century to visit the East, labeling the Eastern Churches as sister Churches. 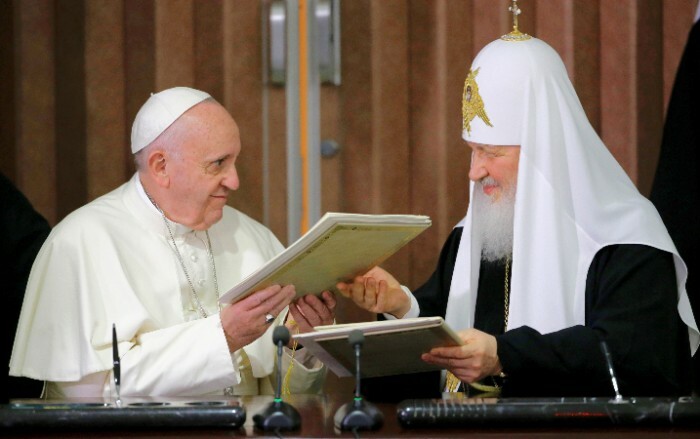 He was also the first pope in centuries to meet the heads of various Eastern Orthodox faiths. Notably, his meeting with Ecumenical Patriarch Athenagoras I in 1964 in Jerusalem led to rescinding the excommunications of the Great Schism, which took place in 1054. This was a significant step towards restoring communion between Rome and Constantinople. It produced the Catholic-Orthodox Joint declaration of 1965, which was read out on 7 December 1965, simultaneously at a public meeting of the Second Vatican Council in Rome and at a special ceremony in Istanbul. The declaration did not end the schism, but showed a desire for greater reconciliation between the two churches. In 1448, the Russian Church in Moscow became effectively independent from the Patriarchate of Constantinople — when the Russian bishops in Moscow elected their own primate, Jonas, a Russian bishop, without recourse to Constantinople. The Russian church within the bounds of the Grand Duchy of Moscow was thenceforth effectively autocephalous. Metropolitan Jonas was given the title of Metropolitan of Kiev and All Rus’, but his successors styled themselves as Metropolitans of Moscow and All Rus’. Five years later, Constantinople fell to the Ottoman Turks. From this point onward the Russian Orthodox Church saw Moscow as the Third Rome, legitimate successor to Constantinople, and the metropolitan of Moscow as head of the Russian Church. Møtet mellom paven og patriarken av Moskva er svært viktig, men man bør holde tunga rett i munnen. I går reiste vi fra Oslo til Seattle, via Keflavik på Island. Det er den raskeste turen jeg har tatt fra Norge til the Pacific Northwest (dsv Washington og Oregon). Vi reiste fra Gardermoen kl 14.05 and landet i Seattle kl 16.35 samme dag – + ni timers tidsforskjell. Jeg vet ikke om noen direkte turer fra Norge til USAs vestkyst, vi har tidligere reist (en viss omvei) via København eller Amsterdam, London er selvsagt også mulig. Å reise via USAs østkyst syns jeg er mindre behagelig, for da har man 6 timers flytid igjen over USA. Vi reiste med Icelandair, og var godt fornøyd med turen – det viste seg å være et svært islandsk flyselskap både mht til språk og kultur. Vi byttet fly på Keflavik, men det er jo ikke noen omvei, flyene går den veien i alle fall – vi fløy 2 1/2 time dit og 7 1/2 derfra til Seattle. Vi skal være i Oregon de siste fem ukene av min studiepermisjon. Jeg skal lese de siste ca 15 bøkene jeg har fått tak i om liturgiens utvikling, og vi skal treffe mange medlemmer av min kones store familie. Under sin visitas i Bergen inkardinerte bp Bernt Eidsvig pastor Erik Andreas Heyerdahl Holt i Oslo Katolske Bispedømme. Pave Frans og Troskongregasjonen har godkjent hans tidligere prestevielse og han fikk dispensasjon fra sølibatet. P. Erik skal tjene som kapellan i St. Paul menighet. Jeg har lest ferdig boka The Holy Eucharist – The World’s Salvation, der forfatteren, Joseph de Sainte-Marie, OCD, er nokså kritisk til praksis som har kommet etter 1970 mht konselebrasjon av messen. Han er ikke mot konselebrasjon, og finner det bl.a. naturlig at prester konselebrerer med sin biskop ved spesielle anledninger, men han finner det ikke naturlig at mange prester skal konselebrere messer til stadighet, heller enn å feire egne messer. Han tar opp spørsmål som; blir ett eller flere messeoffer båret fram når mange prester konselebrerer en messe? Og han skiller tydelig mellom seremenoiell konselebrasjon (når f.eks. en biskop feirer messe med assisterende diakoner og en MC), og sakramental konselebrasjon (når flere prester deltar i konsekrasjonen). Let me begin with the bottom line. This is the most important book ever to appear in English on the subject of concelebration. It ought to be read by every bishop, priest, religious, teacher of liturgy, and seminary formator, and absolutely anyone with a desire to learn about this complex and sometimes contentious issue. Vi stiller spørsmålet til Norges nye kaldeiske prest, på koselige Café Jordbærpikene på Tveita senter i Oslo. Svaret er blottet for kos. “Det er for sent. Det hersker en fullstendig mangel på tillit. De har mistet troen på at de har en fremtid i Irak”, svarer fader Rooni kontant. Svaret ryster meg. Gang på gang har jeg hørt kirkeledere advare mot at Irak tømmes for kristne, hvis de ikke får hjelp til å bli, men aldri før har jeg hørt noen si at det faktisk er for sent. “Men hvis verden virkelig mobiliserer”, prøver jeg. Siden Saddams fall i 2003 har tallet på kristne minket fra drøyt 1,2 millioner til nær 200.000. Den siste masseflukten startet da IS erobret Mosul og de kristne landsbyene på Ninive-sletten i Nord-Irak sommeren 2014. Ett og et halvt år etter bor IS-flyktningene fremdeles i kummerlige, midlertidige boliger. De mangler det meste, mange av barna får ikke gå på skole, og IS-krigere okkuperer fremdeles hjemmene deres i Mosul og på Ninivesletten. Les mer om P. Yousif her.